Huge sound and power from a head you can toss in a backpack. 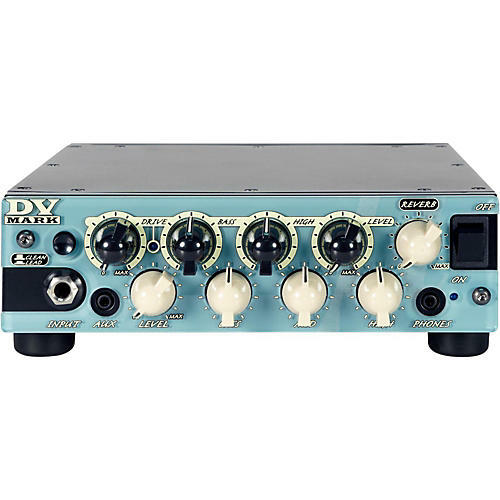 The DV Micro 50 50W guitar amp head features two channels with very user-friendly and effective controls, on-board reverb, XLR Line Out plus a headphone output and an a handy mini-plug aux in jack for connecting an MP3 player to mix with your sound so you can practice anywhere and anytime you like. Channel 2 includes a convenient onboard overdrive-pedal circuit, with more controls than a simple pedal. Featuring complete EQ, gain and master controls, they work in addition to the clean channel controls. The Micro 50 amp also features a Dual Voltage Switch 120V/240V to use the amp in countries with different voltages, without having to carry an external converter. Dimensions: 7.87 x 2.75 x 8.7 in.